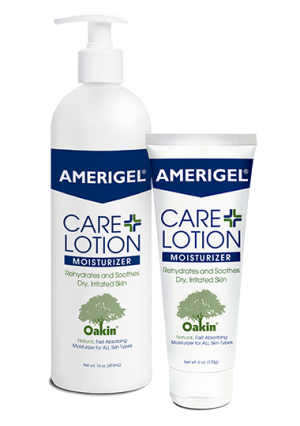 View cart “AMERIGEL Barrier Lotion – 6 oz Tube” has been added to your cart. 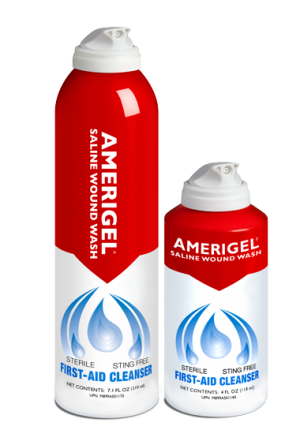 Provide moist wound healing and reduce scarring with AMERIGEL Hydrogel Wound Dressing. 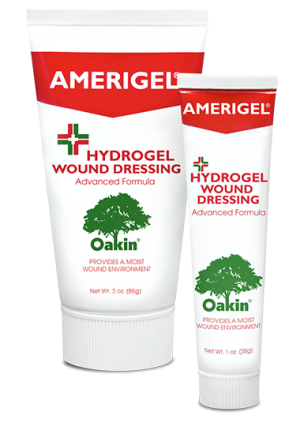 AMERIGEL Hydrogel Wound Dressing's advanced formula provides moist wound healing through its unique ability to address multiple wound concerns simultaneously. The hydrating base in the wound dressing provides necessary moisture to assist the body in creating an optimum wound healing environment. Zinc works together with the hydrating base to prevent scabs from forming, which can delay the healing process and lead to scarring. AMERIGEL Hydrogel Wound Dressing is indicated for cuts, scrapes, abrasions, pressure ulcers, diabetic skin ulcers, stasis ulcers and post-surgical incisions. The Wound Dressing is approved by the American Podiatric Medical Association and has been rated the #1 topical wound/ulcer treatment by podiatric physicians since 2006. Rely on the #1 Rated AMERIGEL® Hydrogel Wound Dressing for your wound care needs! Rehydrate and soothe dry, irritated skin with AMERIGEL Care Lotion's advanced deep penetrating formula. The Care Lotion's quick-absorbing blend of ingredients work to soften and exfoliate corns and calluses while moisturizing to promote healthy skin. The hypoallergenic cooling formula is gentle enough for sensitive skin, non-greasy, fragrance-free, oil-free, dye-free and will not clog pores. The AMERIGEL Care Lotion has earned the APMA Seal of Approval and is recommended by Podiatric Physicians for Diabetics daily skin care. Rehydrate dry skin with daily use of AMERIGEL® Care Lotion! AMERIGEL Wound Wash is a pressurized First-aid solution to cleanse wounds, cuts, scrapes and minor burns painlessly. The Sterile, Drug-Free, Preservative-Free, pH neutral solution helps promote healing of cuts, scrapes and minor burns without any discomfort from burning or stinging. Convenient, effective and easy to use system with no refrigeration necessary allows you to take the wound wash on camping trips, sports outings or family vacations. The just point and spray pressurized 360 degree dispensing system sprays at any angle for those hard to reach areas and helps to remove debris, dirt and foreign material. Cleanse your wounds painlessly with AMERIGEL® Wound Wash!